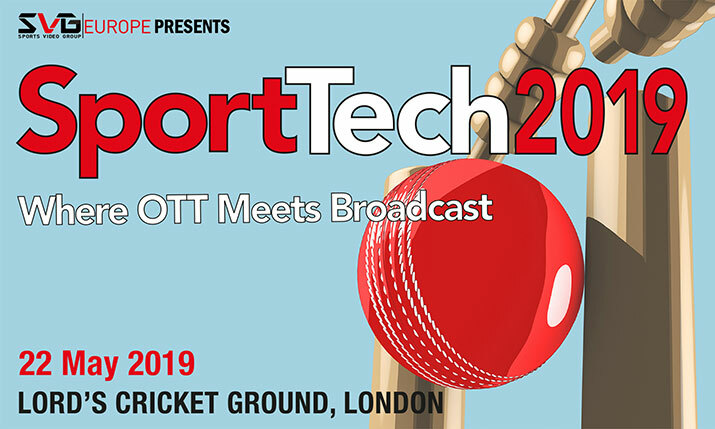 OTT, social media and live streaming will take centre stage on 22 May when SVG Europe brings its SportTech 2019 conference to Lord’s Cricket Ground in London. The specially curated one-day event will examine how these new forms of distribution are changing the landscape for televised sport. Topics to be addressed include user experience and latency, attracting the next generation of sports fan, fast turnaround clipping and highlights creation, and much more. The event will also include a session on how the 2019 ICC Cricket World Cup will be covered on TV and online, an SVG Europe Women’s networking event and an invite-only ‘Carbon Literacy for Sports Production’ workshop. The full speaker line-up will be announced in the coming days. For sponsorship opportunities, contact Clare Sturzaker or Nicky Lane.